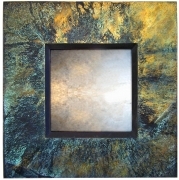 If you are looking for a hand made, small, contemporary mirror that's a bit different and has all the quality and cache of a handmade designer mirror then I think you've come to the right maker. 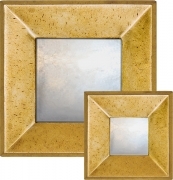 My collection of small gilded contemporary mirrors is laid out below according to the different types of mirror profile that makes up the mirror collection. 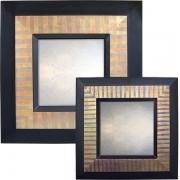 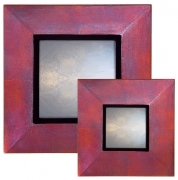 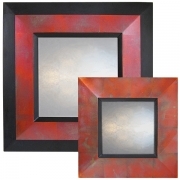 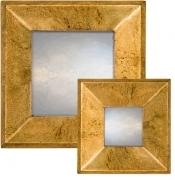 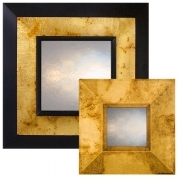 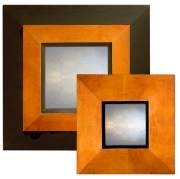 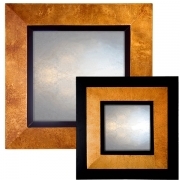 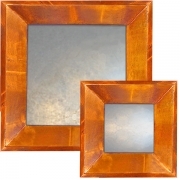 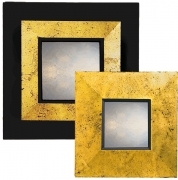 Click on any of the contemporary mirrors for more detailed information and prices. 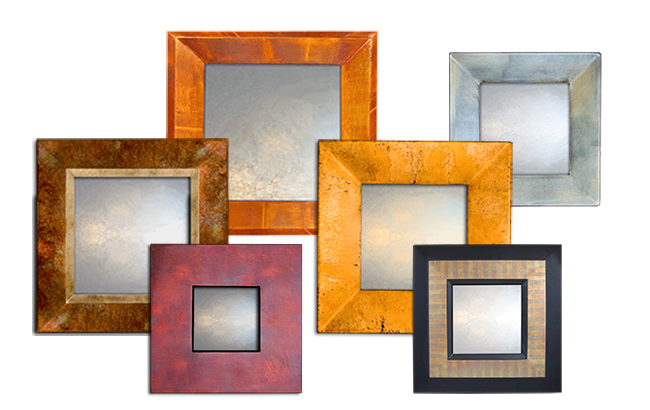 What distinguishes my small contemporary wall mirrors are their unique finishes. 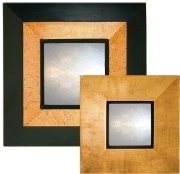 Imagine a finish that has the iridescent beauty of a butterfly's wing and come in a whole new spectrum of colours that stimulates the eye and fire the imagination. 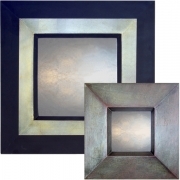 Their unique reflective qualities means the mood, tone and colour of my large contemporary mirrors subtly change, depending on the light and angle the mirror is viewed from. 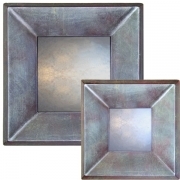 To show these exciting dynamic qualities off to best advantage I have used simple geometric forms, made up from angular planes, so that the light plays off the surfaces of the small mirrors, producing these iridescent qualities.